As you know, Easter is the festival to celebrate the resurrection of Jesus Christ. It is celebrated every year on the first Sunday that comes after the full moon around the time of March equinox and this usually comes between 4th April and 8th May. 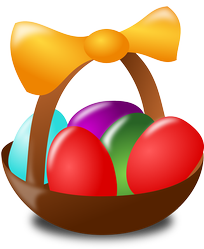 Along with Easter parades and Easter Bunny, Easter egg hunting is an activity observed during this festival. Eggs are considered as the symbol of rebirth and hence they are linked with Easter, which celebrates the resurrection of Jesus Christ. Easter egg hunting is one of the fun activities to do with kids and you can easily engage them with this activity during the holiday. If there are many kids, this is even more fun to do together. Either real or artificial eggs are decorated and filled with chocolates or some figurines, and they are hidden somewhere for kids to find out. Sometimes prizes are given to those who find the most number of eggs or to those who find the first one, thus keeping the game more interesting and rewarding. Regardless, you can offer all the little ones some rewards for participating and making it lively! 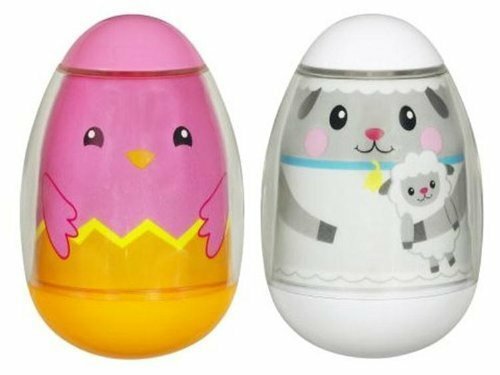 There are a variety of beautiful Easter eggs from Amazon, with hidden surprises for kids. 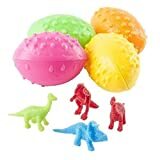 Children love dinosaurs and the Dinosaur Easter eggs have small dinosaur figurines inside which will give a pleasant surprise for all the kids. There are 24 such Easter eggs available per order which would be great for the Easter egg hunt. 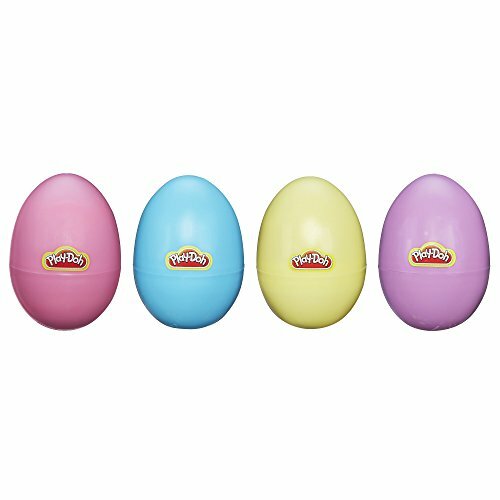 The below shown Play-Doh Easter eggs contain beautiful Easter eggs with play dough inside for children who love playing with molding dough. 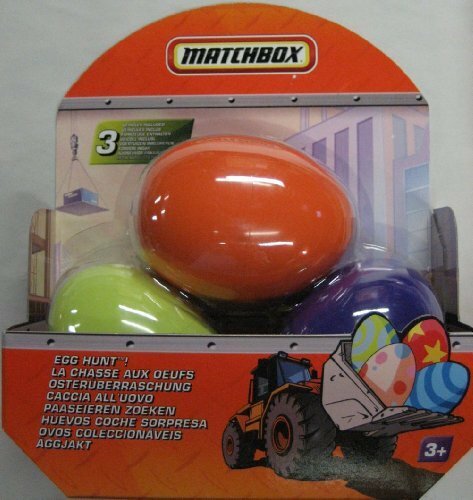 The Matchbox Egg Hunt pack includes 3 colorful plastic eggs and for the surprise part, they come with 3 mystery vehicles inside. Let the kids hunt the eggs to find out what is inside! Here is also a special Easter basket of delicious Cadbury chocolates that I found online which you too might love. Easter stickers are another fun way to enjoy the day with kids. I haven't seen a kid yet who doesn't love stickers as they give lots of fun and entertainment to the little ones. They are low in price, but you can always get a large number of stickers which can surely engage your kids for a longer time. 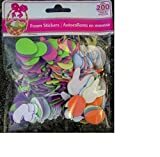 The foam stickers come in a variety of sizes and shapes and are perfect to decorate the Easter eggs, which your kids can easily do. There are 200 such stickers in the pack for endless fun. 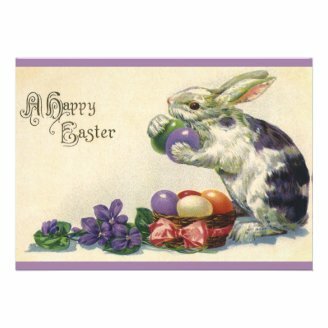 The Old Time Easter Stickers are beautiful vintage stickers you can use for Easter decorations including Easter egg decorations and you can even stick them on your personalized Easter cards. There are 27 stickers in the pack which features duck in Easter finery, rabbit in high hat, chick emerging from Easter egg etc. The Beistle Easter Egg Stickers comes with 4 sheets of Easter stickers. They are beautiful stickers of decorated Easter eggs and perfect for Easter decorations. The Dover Activity Book With Easter Egg Stickers contain 20 beautiful stickers of bunnies, flowers, hearts, ducklings etc. which would look great in Easter decorations and cards! Beautiful Easter baskets are needed to store the decorated Easter eggs. As the kids collect the hidden Easter, they can easily put them together in the baskets. You can make your own Easter baskets, but there are beautiful Easter baskets available from Amazon to make your job more easy. The beautiful Easter Egg basket for kids from Bearington Collection is adorable and it is surely a great addition to the Easter gifts. 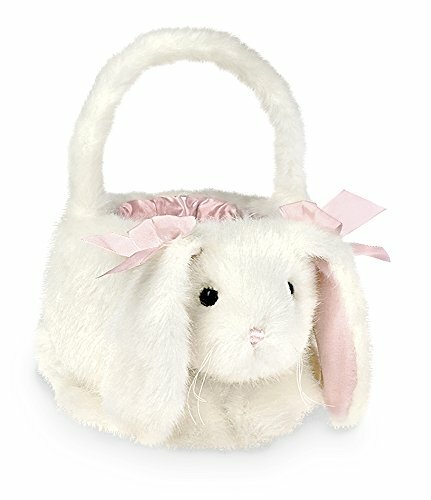 It is a cute bunny basket with soft hair and sure to please the kids! 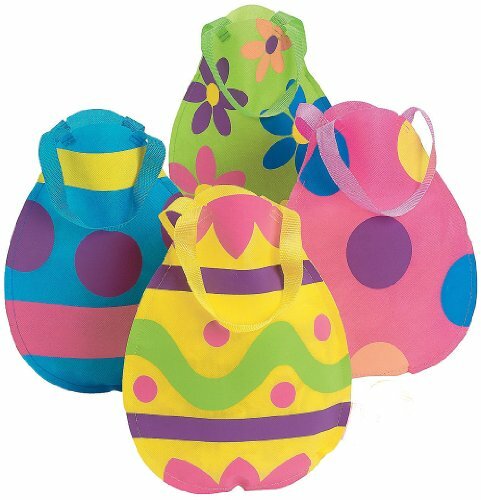 The Nylon Easter Egg tote bags is a set of four tote bags with cute and colorful polka designs, and they make beautiful Easter Egg baskets for kids. 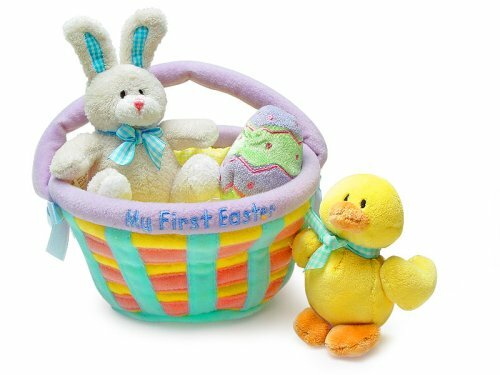 The Easter Egg basket from Baby Gund is perfect for babies who celebrate their first Easter. It is soft and beautiful and comes with age appropriate toys like a bunny that rattles, egg that crinkles and a chick that chirps. The weebles of lamb and chick make great Easter basket fillers which can be so much fun for little babies. 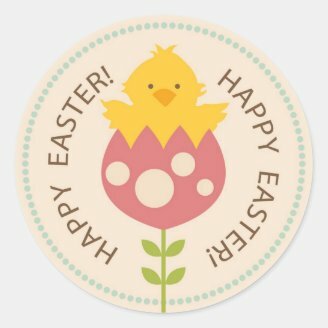 The Easter stickers and cards from zazzle can be customized and they have a variety of these available in their site. Did you like Easter egg hunting as a child? Hi CountrySunshine, thank you so much for reading :) I am glad that you love the ideas here. It is really interesting to learn that children used hard boiled eggs for Easter egg hunt, I never knew that before! I love your ideas for Easter baskets and gifts; especially the dinosaur eggs! When we were young, we hunted hard-boiled eggs. Easter has come a long way since then. Yes, I am sure I too would like these. Thanks for reading and commenting! I am sure the kids will enjoy the Easter eggs and baskets. Even the grownups will like this collection. Easter eggs are so colorful. I especially appreciate the eastern European tradition of egg decorating: so exquisite, so ephemeral. Chocolate and a toy: winning combination!